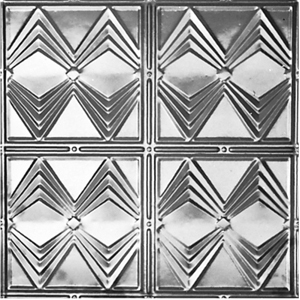 Tin Ceiling is one of the unique classic ceilings available nowadays. It is available in a wide variety of colors. As a matter of fact, you can paint it any color of your choice so long as you use oil based paints. You can use Times Square ceiling to spruce up your house and make it look great. 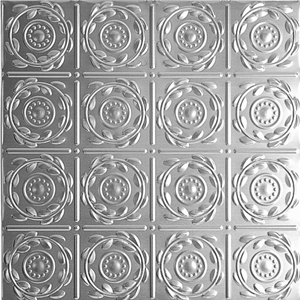 They are easy to install and the 6 inch square pattern that repeats itself in a concentric manner and makes it look elegant. This makes Times Square ceiling appropriate for many applications. 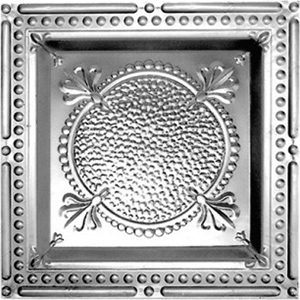 The patterns on the ceiling are carefully embossed to make it maintain a classic look. They are easy to install as well as maintain, they look good in small rooms as well as in large rooms. Unlike the plastic ceiling, the Times Square ceiling is durable and lasts for a long time. 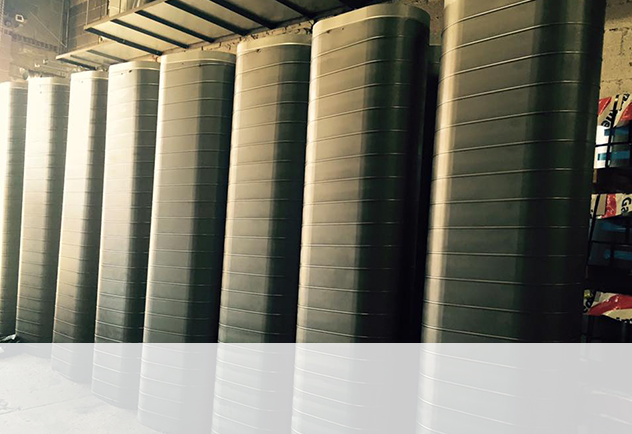 It has been manufactured from high quality materials. 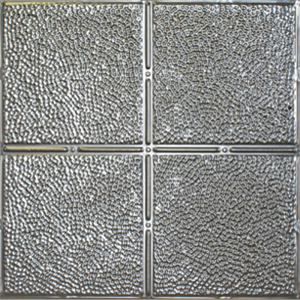 Times Square ceiling is available in 48 by 24 inch panels. 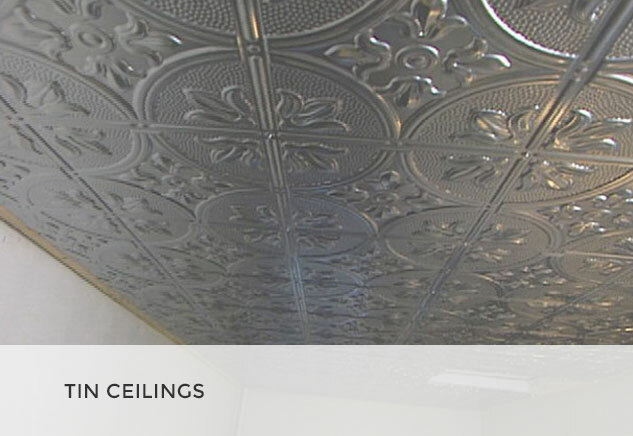 If you are tired of looking up and seeing the same old, boring ceiling, you may want to consider making the switch to a tin ceiling. 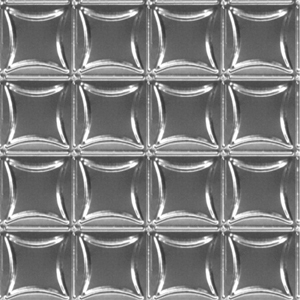 A Weave Dimensional Geometry Tin Ceiling will look great, and there are many other benefits in addition to appearance. They come in a variety of patterns, and you can use different types of finishes to get just the color you want, including tin, lacquer/clear coat, powder coating (white), and metallic (copper, chrome, and brass). 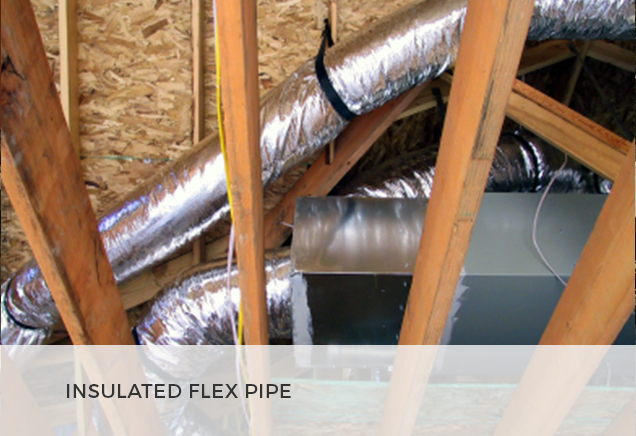 One of the great things about this product is that it is easy to install. You don’t have to bother spending a lot of extra money on hiring a contractor, because you can do the work yourself. The pieces are cut to a size that makes it easy for one person to install the ceiling without any help, and there are two types of tiles: lay-in tiles that are 23-7/8” by 23-7/8” and nail-up tiles in two sizes (2’ X 2’ and 2’ X 4’). 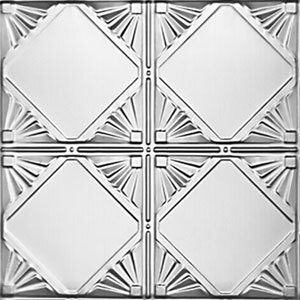 Diamondback Square Tin Ceiling is for anybody who wants to change their ceilings from the normal boring view to an elegant one. It is made of Aluminum with no sharp edges for safety precautions. 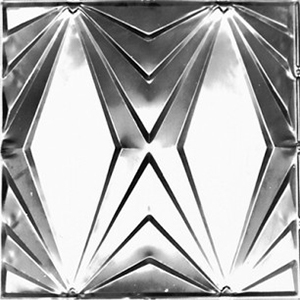 This one-person installation product comes in various patterns, which make up the different designs of the product. 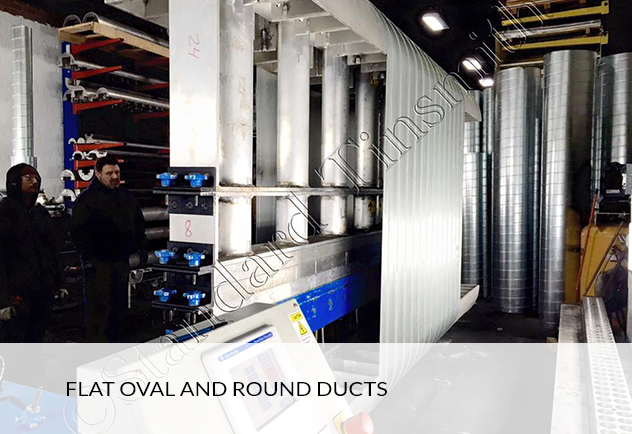 It is suitable for the nail-up or plywood ceilings and the drop in or suspended ceilings, and the purchasers have the final say on the color of the tiles. This further makes them more efficient for matching up their color with that of the house painting. 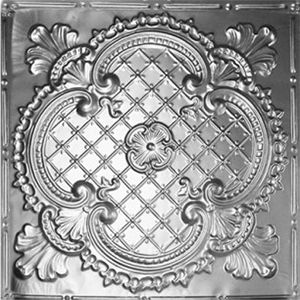 This tin plated steel product is the classic type measuring six inch by six inch and has a repeating patterns with currently over seventy-five finishes all for the satisfaction of the customers demand. 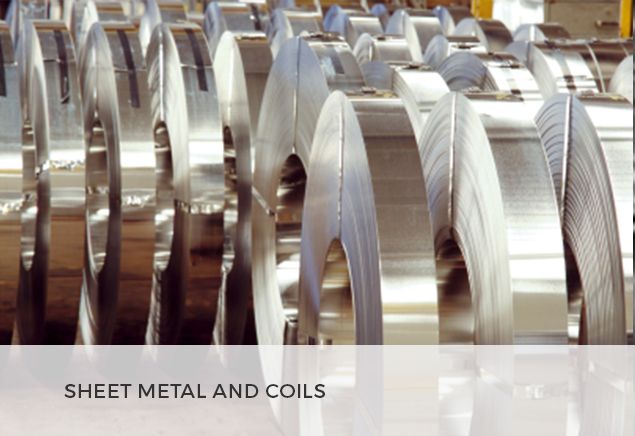 The aluminum guarantees long lasting by preventing rusting. 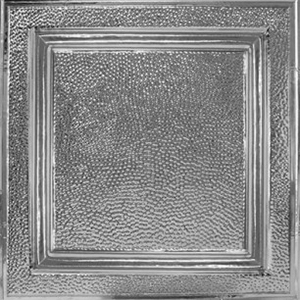 Furthermore, diamondback squares tin ceiling are affordable ranging from $9.75 to $56.20 depending on the quality and design of the item. 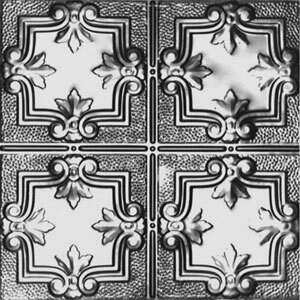 These multiple pattern tiles also offer simplicity with the cornices on them and the oil based paints or clear-coated oil based polyurethane applied. 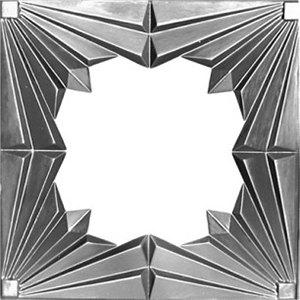 Go ahead and make your ceiling magnificence with this beautiful Diamondback Squares Tin Ceiling. 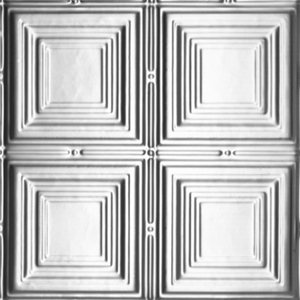 The Laurel tin ceilings bring about a blend of simplicity and elegance. 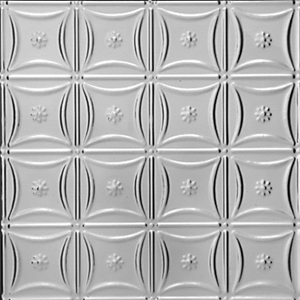 The ceilings have multiple patterns with the cornices sized in a convenient manner with no sharp edges to enhance installation by a single person. 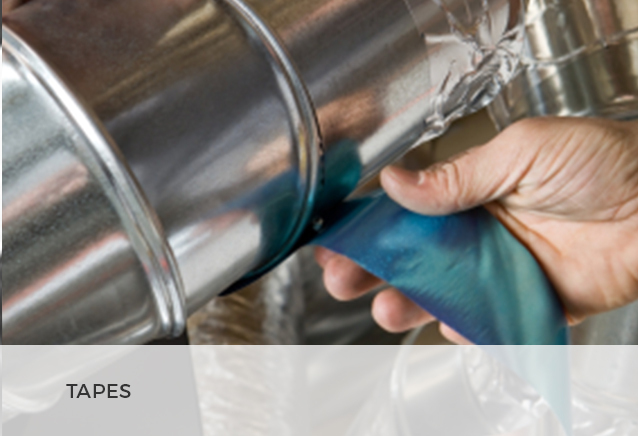 The tin only finishes require painting with any color of your preference using paint based on oil or polyurethane oil based clear coated paint. Among other features of the Laurel tin ceilings include; rust resistant, they are lightweight, affordable and can be cut with scissors. 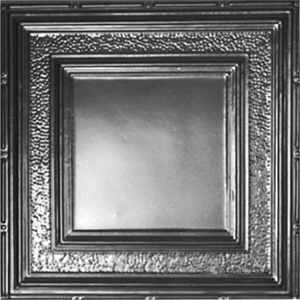 Some Laurel tin ceilings are also paintable with water based paint. It brings out a tin look and no metal echo with easy glue up installation or drop in grid system. 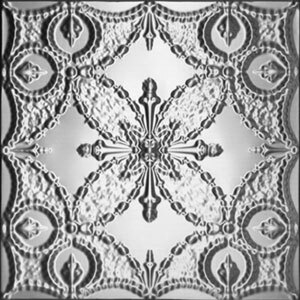 The tin ceilings can add a design element to any room as they can be installed on a variety of surfaces such as popcorn, drywall, plywood and other flat surfaces by using a construction grade adhesive. They can also be laid into a suspended ceiling system. 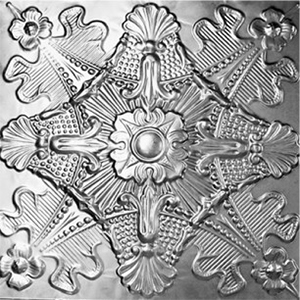 Mini Fluer-De-Lis Tin Ceiling is an elegant and durable steel ceiling plate coated with tin. Besides its comparatively pocket friendly price of $8.75 per piece, it conveniently measures 24” by 24” with no edges making it favorable for any fitting. The beautiful home invention further has the decorations of multiple cornices and breathtaking patterns that add a sense of decor to a building. No sight beats the deeply satisfying feel of Mini Fluer-De-Lis Tin Ceiling in a house. Not only does the ceiling rejuvenate the touch of vintage in the house, it brings serenity and elegance to a home. 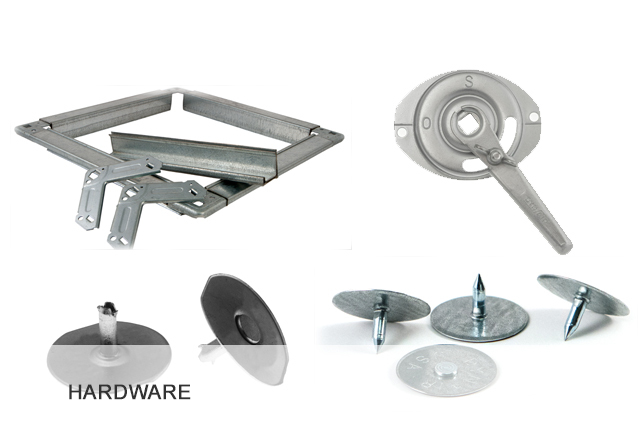 The steel-tin made ceiling also provides a permanent solution to cracked and damaged ceiling. This universally beautified product would blend well in a French-themed environment and any country style environment like hotels, cafes and homes. Even though it is advisable to prim the ceiling to avoid corrosion, Mini Fluer-De-Lis Tin Ceiling still looks magnificent without paint. This simple yet elegant Armor Checkers Tin Ceiling tin ceiling can turn a boring white ceiling into a designer masterpiece. 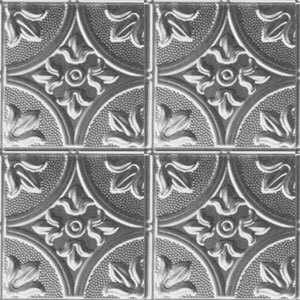 Its universal pattern will fit great into any room: from a modern minimalistic living room or a Victorian style bedroom to a contemporary kitchen and a classy and sustained bathroom. 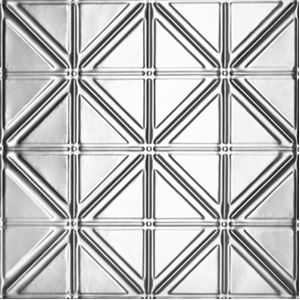 Armor Checkers Tin Ceiling has a convenient size of 3″ which allows it to be easily installed by one person. It’s clear pattern and sharp lines will draw every one’s attention to this unusual decoration. The tin can be painted any color you with an oil-based paint or you can clear coat it yourself using an oil-based polyurethane to preserve its vintage look. This product is also available in different finishes: tin, powder coated white for a matte look, clear coat and copper, chrome and brass. You can choose from several sizes we have available to fit the design you have in mind. 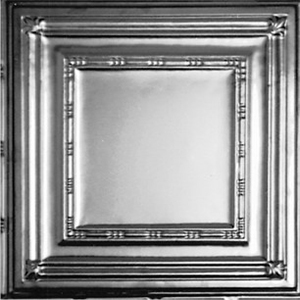 Queen Victoria ceiling tiles are available in copper, tin and aluminum among other styles of real metal ceiling tiles at affordable and competitive rates. There is a huge selection to choose from with new styles always being added to the inventory from time to time. 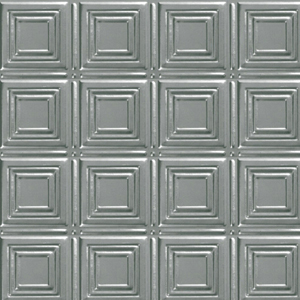 The Tin ceiling in particular, come in multiple patterns that bring forth an exciting blend of elegance and simplicity. 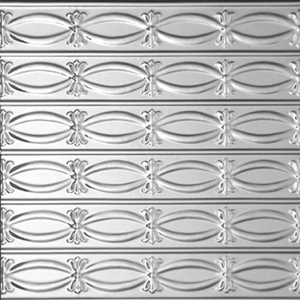 All the patterns for tin ceiling and cornices are sized conveniently and do not have sharp edges to enhance installation by one person. 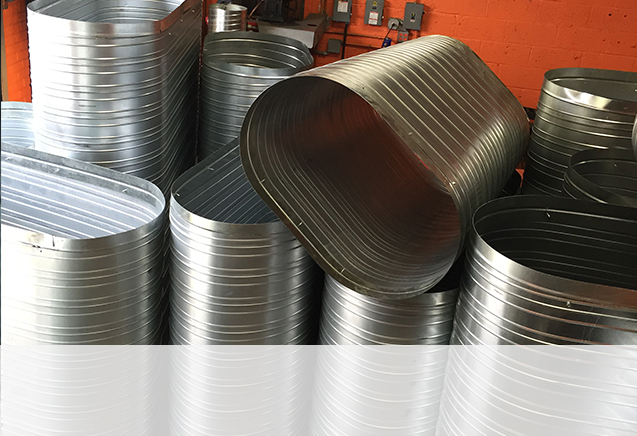 One can paint any color to the tin only finishes can according to their preferences using paint based on oil or one that is clear coated but has oil based polyurethane. 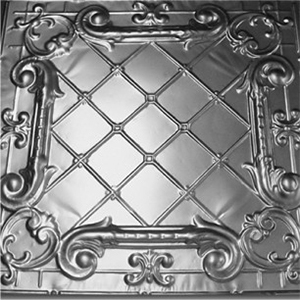 Most of these tin ceiling tiles are available in a wide array of dazzling finishes. In some, nail up panels directly adhere to wood substrates and are perfect for creating an authentic and seamless look to the ceiling. There are also accurate head nails that are available in varying colors to complement the varying finishes. Sometimes you just got to raise the stakes. That’s exactly what Madison Square Tin Ceiling is for. This rustic and elegant twist on normal tin ceilings is exactly what every ceiling in your home covets! 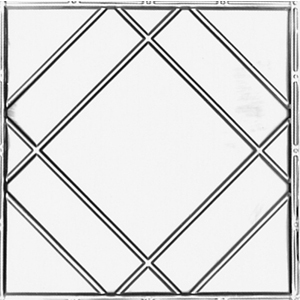 With the illusion of multiple squares being stacked on top of each other and getting bigger and bigger with every leap, the sophisticated design is nothing less than beautiful. There are many customizing options to fit your exact needs for this specific model. For whatever fits your needs, you have the option of picking a panel size of 2 inches by 2 inches or 2 inches by 4 inches. There are two different installation methods, you can pick between a drop in method (using grids to keep them up) or a nail up method (using nails to keep them steady). Finally, you can pick your finish. If you’re unsure of what color would look best in your lovely home, feel free to browser our vast options of colors and coatings! 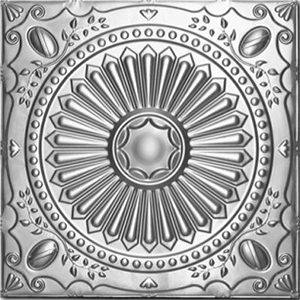 Treat you and your ceiling to this beautiful, one and only, Madison Square Tin Ceiling. 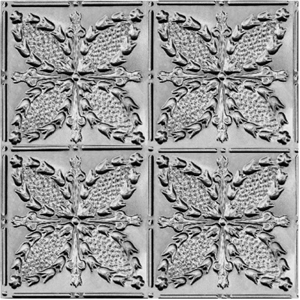 The Fleur-De-Lis are an exceptionally exquisite and beautiful range of decorating patterns and cornices for your ceilings. Being just 12 inches in their dimension, they add a touch of luxury to your home decor and provide a premium look to your ceilings. 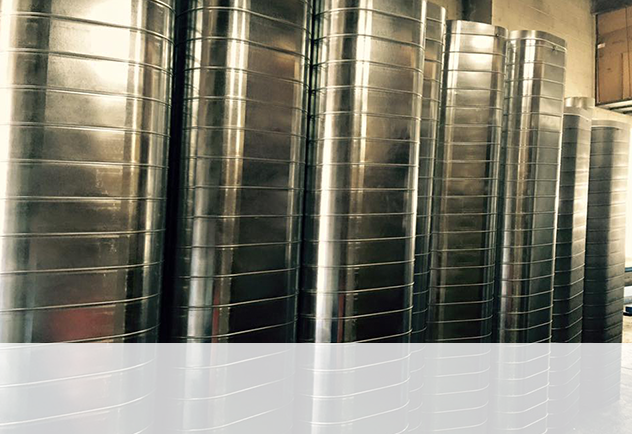 Our range of ceiling patterns made from tin have been crafted with absolute expertise so that a person can install it all by himself. 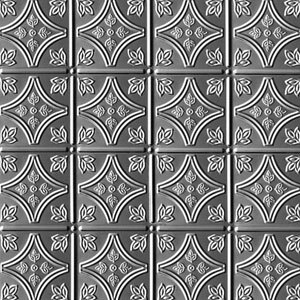 These tin finished ceiling patterns are made available to you in a color of your choice. Oil based paint or a clear coat of oil based polyurethane is used to add the color. Available in measurements of LAY-IN (23-7/8” X 23-7/8”), NAIL-UP 2′ X 2′ & 2′ X 4′ they are perfectly sized for installation by a single person. 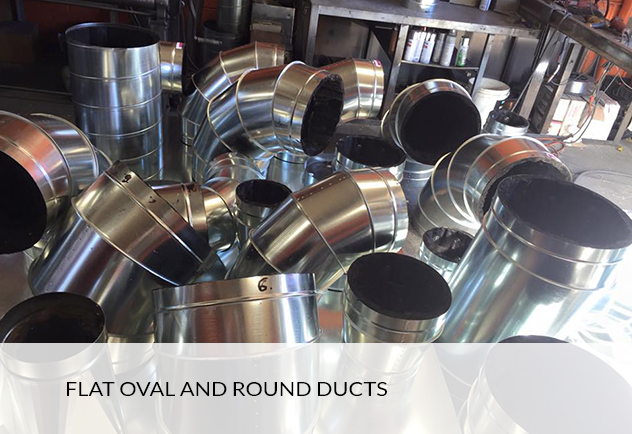 Apart from tin, they also come in a variety of other premium quality finishes available like the powder coated white, or the copper / brass / chrome finish or you can opt for the clear coat / lacquer finish. 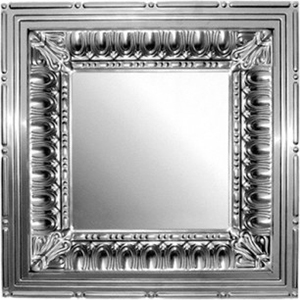 These Romanesque Tin Ceiling panels come with a particularly attractive design. 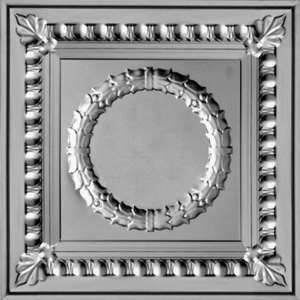 They feature a circular central wreath, surrounded by a decorative square border with corner leaves. The overall effect is simple and pleasing. There are several different finishes to choose from, depending on the look that you wish to achieve. White gives a lovely clean crisp finish, perfect perhaps for a café or a kitchen. Colored metals add warmth and coziness to a room, coming into their own in bars and restaurants. Alternatively, you may wish to paint the panels a color of your choice. In this case, choose tin panels and use an oil-based paint to finish your ceiling. Installation of these panels is remarkably straightforward. The drop in design enables a single person to easily install the entire ceiling. If you choose the larger size panels, you also have a nail in option. 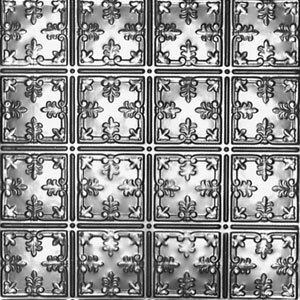 Whatever you choose, these panels will add instant character and elegance to your indoor space. What was once a plain ceiling will become an eye-catching feature! 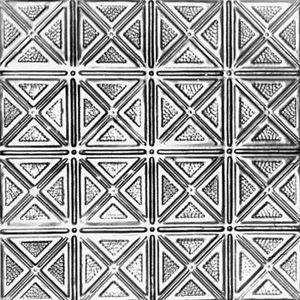 This ceiling pattern offers a unique way to provide added beauty to a room. Any room in your home providing living space and calling for a touch of attention-getting decor will be enhanced by this simple addition. Installation is very easy. One person can handle the project in a short period of time. There is no need for a crew of workmen or costly equipment. The product is small enough (24 inches) to be handled easily by one person. Being very light in weight, it does not require a heavyweight to carry and install. Making this object a focal point in the room, is only restricted by your imagination. Colors and finishes are your choice. 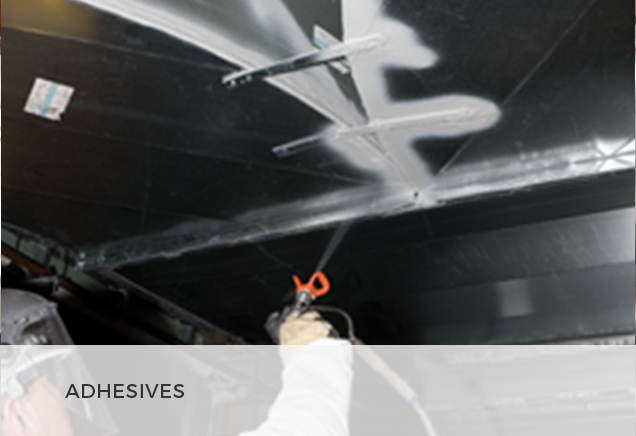 Since the basic material is tin, a clear coat of polyurethane may be your choice. If the room calls for a special color, an oil based paint would be a simple finish. This item is a beautiful way to add a touch of elegance to any home. 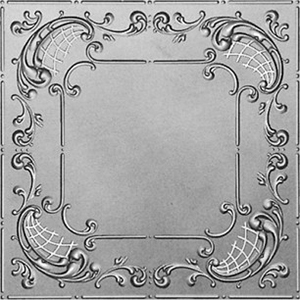 This 24″ stylish tin ceiling comes with multiple patterns which offer elegance and simplicity. It provides the classic look of yesteryear with nostalgic recreations that leave a lasting impression wherever your desired space for installation is, be it kitchens, dining rooms, bedrooms or halls. 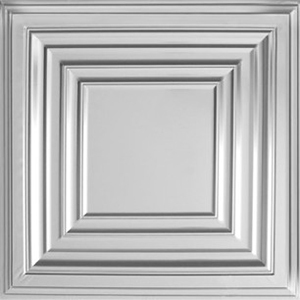 All of our tin ceiling patterns and cornices are conveniently sized for one person installation. Tin only finishes can be painted with whichever color you choose using oil based paint or can be clear coated with oil based polyurethane. 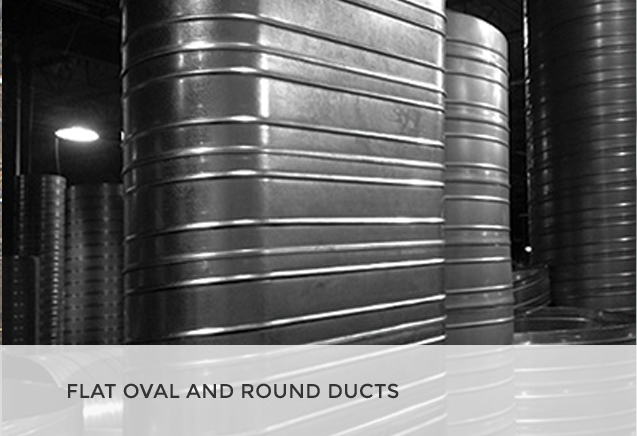 Admired for their durability, lightweight and style. 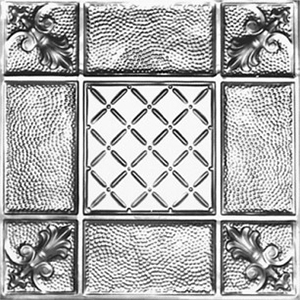 They are best suited for homeowners or architects looking for that exquisite finish. Rather than having a plain white ceiling,it becomes an eye-catching feature once patterned with metal panels. Bring out the past into the modern life with beautiful art where affordability doesn’t compromise on quality. Have you had a glimpse of our contemporary Plate No. 523 yet? This 24” tin ceiling is just incredible. 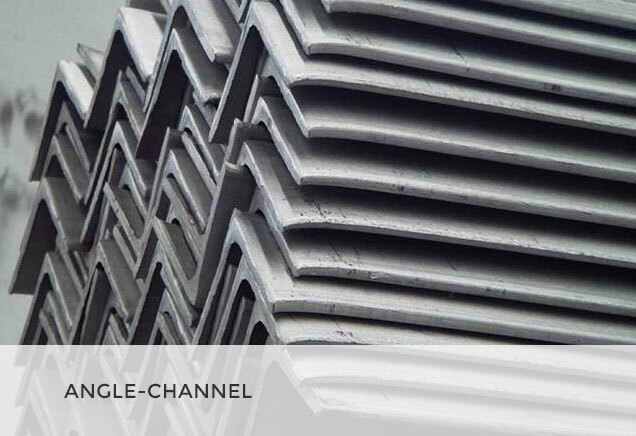 It has multiple patterns that offer elegance and simplicity, and its cornices are conveniently sized for one individual installation. Its tin only finishes can be painted with any color of your own unique preference, cautiously utilizing oil based paint or clear covered with an oil based polyurethane. 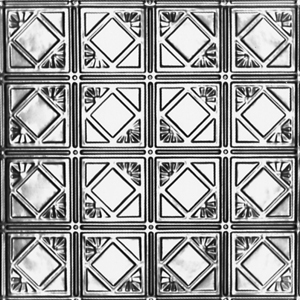 You may be looking at tin ceilings because of the decorative possibilities for restoration, remodeling or a new interior design. Certainly they add elegance to a room. But there are more reasons to choose them. Because they are durable and beautiful they add value to a property. 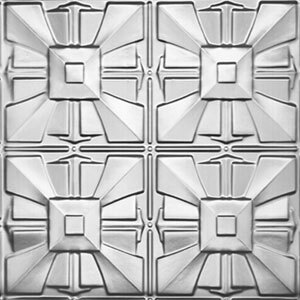 Tin ceilings also are moisture-resistant, less likely to crack, require minimal maintenance, fire-resistant, can hide imperfections, be in any color, and are easy to install. Why a Ribbons-N-Bows Tin Ceiling? 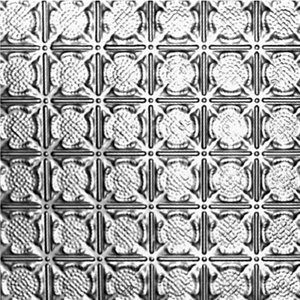 When you study the array of tin ceiling patterns available, this design stands out because of its simple pattern. It would easily complement many design features in a room, adding rather than distracting. 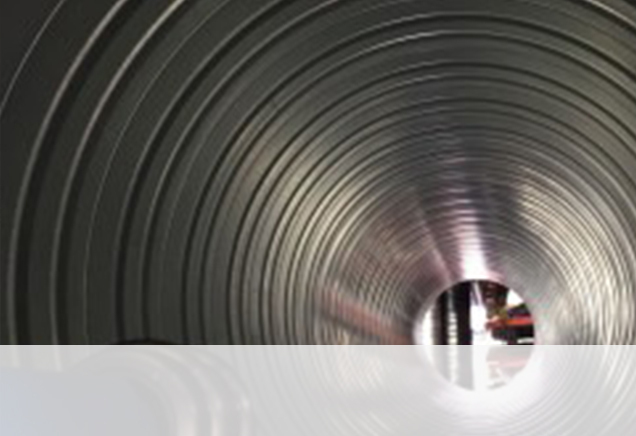 Whether you are working commercially or a do-it-yourself-er the size of this ribbon-n-bows tin ceiling allows for a one person installation. You can choose lay-in for drop ceilings or nail-up in two sizes. 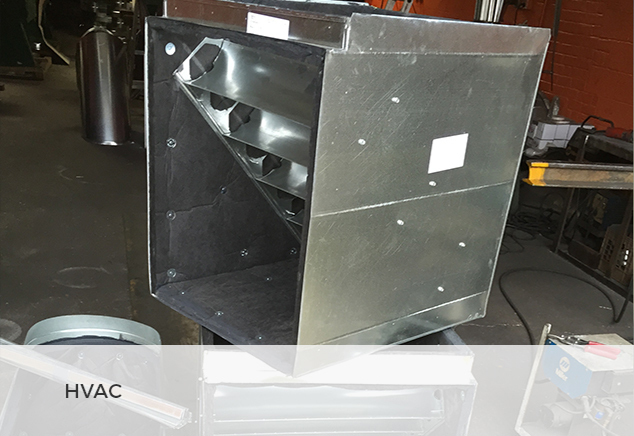 The following finishes are available: tin, lacquer/clear coat, powder coated white, and copper/chrome/brass. Elegant, simple-use is only limited by your imagination.